A fortnight ago, the American Ambassador to Uganda Deborah Malac awarded certificates to 11 outstanding youth leaders whose business plans had been awarded US$10,000 each as seed capital to help them implement their business ideas. The successful business ideas were chosen for their potential to create jobs and improve the lives of people in communities they live in. The Sunrise has spoken with some of the young entrepreneurs about their ideas and here below presents snippets of the individual projects. Here below is the tale of one of them, Tonny Kwanga about his ambition to change lives in Amolatar district. Tonny Kwanga, was inspired by his poverty-stricken childhood to start a social enterprise focusing on goat rearing in Northern Uganda. 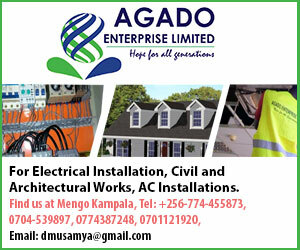 Kwanga was raised in a remote fishing village off the shores of Lake Kyoga and witnessed first hand the throes of poverty characterised by dependency on capture fisheries as the mainstay of his family’s liveslihood. “I watched my parents struggle to put me through school and my other siblings dropping out of school to educate me through fishing,” recollected Kwanga. Inspired by the desire to bring about change in his life as well as to improve the lives of majority poor in his community, coupled with the meagre resources by the government, Kwanga was inspired to take up lessons in entrepreneurship as an avenue to solving some of his community’s pressing problems of unemployment. Armed with entrepreneurial skills as well as practical skills he obtained while interacting with Paul Ssembeguya, one of the outstanding goat breeders in Uganda at his farm in Ssembabule district, Kwanga developed the idea of promoting goat farming in his home district of Amolatar located near lake Kyoga. 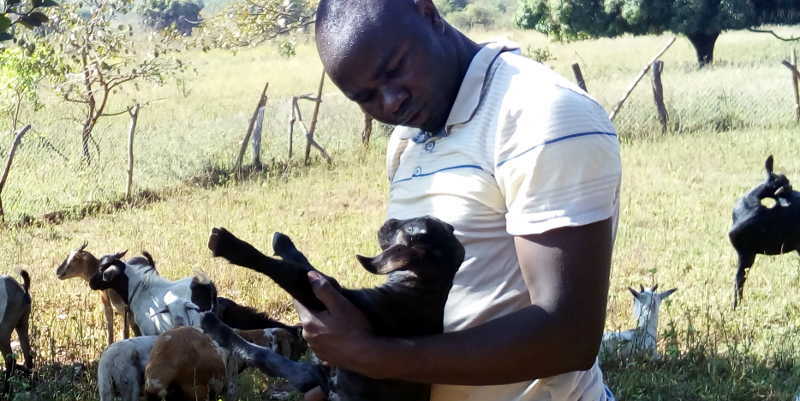 Kwanga’s niche was to improve the local goat breeds in Amolatar by training farmers in basic management as well as crossing local goats with improved fast-maturing exotic breeds he obtained from Ssembeguya Estates in Ssembabule district. According to Kwanga, his organisation works with a network of local farmers by training them in basic goat management such as disease management, housing. “We keep improved bucks at our farm and avail them not only to our network of farmers but also the wider community so as to improve the off springs. The results are that the improved goats reach mature weight in about six to nine months, as opposed to local breeds that last as long as two years to attain average weight,” says Kwanga. Besides helping to train villages in goat management, Kwanga’s Kizimba Social Enterprise offers community members ready market for weaned goats as well as mature ones. His vision is to improve the incomes of local communities by making goat farming a viable economic activity. 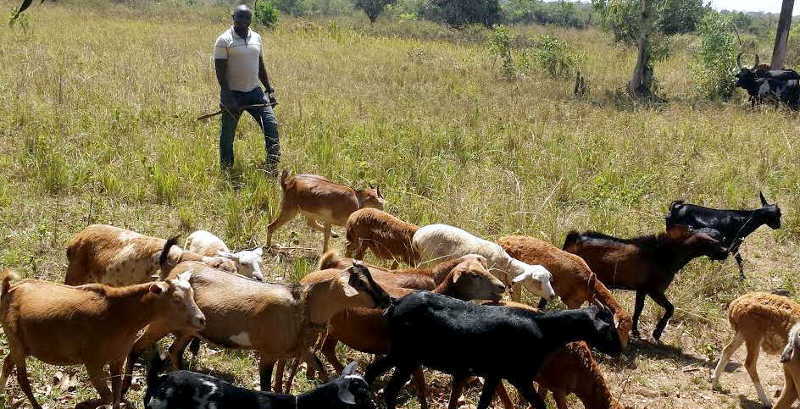 “The outcome of this to the farmers will be producing goats which are twice the price for the local goats of the same age, with the same work put in, thereby increasing their income,” said Kwanga. He said he wants to use the US$10,000 grant he received from a fund jointly established by the United States Africa Development Foundation and the Citi Foundation to provide seed capital for promising businesses of young Africans, to expand his business. “My longterm goal is to change the entire breed of the community and to make goat farming a valuable and thriving business for the community of Amolatar,” remarked Kwanga.